The Wednesday Call Live (TWC) for February 26, 2014: Andy Albright hosts a live conference call and meeting from National Agents Alliance Headquarters in Burlington, NC! Andy's live show covers all kinds of great topics, including training, information on team building, new developments that are in the works, and frank discussions with your fellow agents (beginner and top level managers alike!). If that wasn't enough, the live show also provides motivation and encouragement that will help get you fired up and ready to roll! Be sure to tune in and take advantage of the great info in today's Wednesday Call. How are we having success with recruiting and how are we getting people going fast? The best stuff in life during Wilmington Night Owl. Andy Albright has been on the road this week hosting HotSpots meetings in Charlotte and Wilmington. Andy announced that the GS3 course on NAA University is now free and available to you RIGHT NOW! The product of the week is Foresters Strong Foundation. Andy talked about the Greek Cruise contest people can win this year. In the summer of 2015, The Alliance will be going to Venice, Corfu, Santorini Island and Mykonos and Olympia. Andy talked about rereading Stephen Covey's First Things First and how much it has helped him refocus his efforts now. What should you be reading? There are 24 books for new people to read when they get started, and a book list for established people or leadership...Listen up, Andy will tell you where to find them! Joy, peace and awesome relationships. That's how we live and it's how we the make the most impact in other people's lives. Andy was joined on the show by PDR manager Tony Hardee, Ray Bentch and Kerne Hendey. The three of them have been with NAA for almost a decade. They shared a little bit about their backgrounds and what they do for The Alliance. The Live Show will air again on March 5, 2014 at 12:30 PM ET. The Wednesday Call Live (TWC) for February 26, 2014: This file is an audio recording of Andy's Live Show. If you would like to access the video version, check out the NAAtv Live Archives! On this special BONUS call for February 21, 2014: NEW Policy Review ATM & Client for Life training with Jason Carey! The Wednesday Call Live (TWC) for February 19, 2014: Andy Albright hosts a live conference call and meeting from National Agents Alliance Headquarters in Burlington, NC! Andy's live show covers all kinds of great topics, including training, information on team building, new developments that are in the works, and frank discussions with your fellow agents (beginner and top level managers alike!). If that wasn't enough, the live show also provides motivation and encouragement that will help get you fired up and ready to roll! Be sure to tune in and take advantage of the great info in today's Wednesday Call. The Live Show will air again on February 26, 2014 at 12:30 PM ET. The Wednesday Call Live (TWC) for February 19, 2014: This file is an audio recording of Andy's Live Show. If you would like to access the video version, check out the NAAtv Live Archives! Join us as Biff Baker from Phoenix Life covers their final expense product, Remembrance, on this week's training call. Phoenix has some very unique NO Cost benefits on their final expense product like Critical Illness, Terminal Illness & Accidental Death. Please join us to review a revolutionary simplified issue whole life insurance plan - Final Expense, with access for critical illness and how the product can differentiate you in the marketplace! Click here for the Phoenix Rememberence Revolutionalize Your Business presentation. Click here for the Rememberence Life Rate Card. Click here for the Rememberence Life Agent Guide. The Wednesday Call Live (TWC) for February 12, 2014: This file is an audio recording of Andy's Live Show. If you would like to access the video version, check out the NAAtv Live Archives! The Live Show will air again on February 19, 2014 at 12:30 PM ET. The Wednesday Call Live (TWC) for February 12, 2014: Andy Albright hosts a live conference call and meeting from National Agents Alliance Headquarters in Burlington, NC! Andy's live show covers all kinds of great topics, including training, information on team building, new developments that are in the works, and frank discussions with your fellow agents (beginner and top level managers alike!). If that wasn't enough, the live show also provides motivation and encouragement that will help get you fired up and ready to roll! Be sure to tune in and take advantage of the great info in today's Wednesday Call. Andy Albright kicked off the show by discussing what members of The Alliance were doing in Cabo San Lucas, Mexico this week for the Ring of Champions leadership retreat. He covered how The Alliance is prepared to explode in 2014 with the leadership, system and resources we provide our agents. This show included some of the best moments from National Convention in Charlotte, N.C. earlier this year. The first segment featured Beth and Adam Katz, who talked about sitting in a parking deck in February of 1994 having a fierce conversation about where they were headed in life. Adam told his wife that it was time to make something happen so they could live out their dreams. The Katzes started working even harder to build a relationship with Andy and Jane Albright. They spent time with the Albrights and followed them into the insurance industry. They've been on trips all over the world and have been there for the ups and downs with Andy and Jane. Through it all, Beth Katz said they continued building the relationship. Adam Katz said for 22 years Andy and Jane have served as mentors to him and his wife. He said he was loyal to the Albrights early on because he could see that Andy had a vision so big that other people�s dreams could fit into his dream too. Adam said there's nothing that can replace a strong relationship built over time. 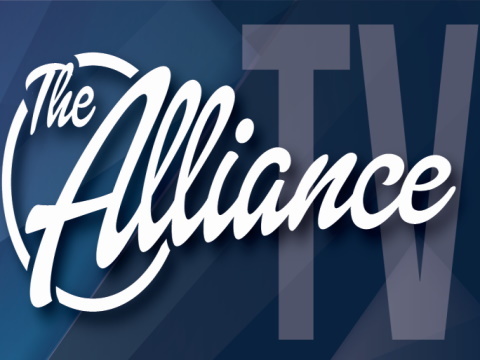 Stephen and Hollie Davies were next on TWC, and both shared their experiences with The Alliance. Hollie shared a poem she wrote to Stephen called, "My Best Friend." Stephen Davies talked about the importance of loyalty. He said being referred to as loyal by Andy meant the world to him. Davies said that loyalty is the ledger of our life. To get loyalty, you have to be loyal to others first and people are attracted to loyal people. Davies covered what exactly the definition of loyal was to him. The next segment featured Mike and Noelle Lewantowicz, who talked about being in the fight with the entire team of The Alliance and serving the team. Motivational speaker and author Eric Thomas wrapped up the show with portions of his keynote address from NatCon14. He told the audience that 2014 is "your year." His positive message was well received by the audience and he left the stage to a standing ovation. "This is your year to have more, do more and be more," Thomas said. February 7, 2014: This week, Barry continues the six week series on how to get on track to reach Andy's vision of 20/20! This is week 4 of the 20/20 Vision series. Barry will be joined by special guests Jason & Tawny Carey and Chadwick & Melanie Ray! The next NAActivity call will be February 21, 2014! Keep an eye on your National Agents Alliance email blasts for more information, and remember to email your NAActivity reports to NAActivity@NAALeads.com by 4 p.m. each Thursday! Placement and Persistency are very important aspects for your business to be profitable and successful! If you want to learn how to get your placement & persistency better than it is (and therefore become more profitable! ), join us for this training call. Gina Hawks is joined by Kyle Winebrenner, Michael Owens and Aaron Croft as they explain how they have become the three with the highest placement/persistency in all of NAA! The Wednesday Call Live (TWC) for February 5, 2014: This file is an audio recording of Andy's Live Show. If you would like to access the video version, check out the NAAtv Live Archives! The Live Show will air again on February 12, 2014 at 12:30 PM ET. The Wednesday Call Live (TWC) for February 5, 2014: Andy Albright hosts a live conference call and meeting from National Agents Alliance Headquarters in Burlington, NC! Andy's live show covers all kinds of great topics, including training, information on team building, new developments that are in the works, and frank discussions with your fellow agents (beginner and top level managers alike!). If that wasn't enough, the live show also provides motivation and encouragement that will help get you fired up and ready to roll! Be sure to tune in and take advantage of the great info in today's Wednesday Call. How to leave a legacy? Mind over matter. First Things First. True joy in life is being used for a purpose. Quality of Life! You recognizing that you are a mighty one. Being a force of nature instead of being selfish, complaining, etc. The world isn�t there to make you happy. Over come by believing in YOU and not being negative when things aren�t going well. The harder I work, the more I live. Life is not a brief candle to me. It's a torch I hold up for a moment and pass off to the next generation. The Alliance Playbook was blasted out on Wednesday for the first time! What am I doing to destroy myself? What is distracting me? Think about what distracts you (really look at yourself)! You looking at you and saying, what distractions do I have? Be ugly with yourself and talk about the nasty distractions you have. Social media, games, whatever it is. To Do: Important stuff! More text dialing. More TDs to win. Big blocks of time to do this. The Advantage says CEO is Chief Reminder Officer. Speaking coach Mark Vickers called into the show to discuss the new Show The Plan training guide. He said it was created with a sense of unity in the message. January 31, 2014: Listen to the NAActivity Call as Barry continues the six week series on how to get on track to reach Andy's vision of 20/20! Mike and Noelle Lewantowicz will be special guests on this week's call. This is week 3 of this series! The next NAActivity call will be February 7, 2014! Keep an eye on your National Agents Alliance email blasts for more information, and remember to email your NAActivity reports to NAActivity@NAALeads.com by 4 p.m. each Thursday! The Wednesday Call Live (TWC) for January 29, 2014: This file is an audio recording of Andy's Live Show. If you would like to access the video version, check out the NAAtv Live Archives! The Live Show will air again on February 5, 2014 at 12:30 PM ET. The Wednesday Call Live (TWC) for January 29, 2014: Andy Albright hosts a live conference call and meeting from National Agents Alliance Headquarters in Burlington, NC! Andy's live show covers all kinds of great topics, including training, information on team building, new developments that are in the works, and frank discussions with your fellow agents (beginner and top level managers alike!). If that wasn't enough, the live show also provides motivation and encouragement that will help get you fired up and ready to roll! Be sure to tune in and take advantage of the great info in today's Wednesday Call. On this special BONUS call for January 27, 2014: Join in for the President's Club Bonus Call! This will be the first "Elite Lady of The Alliance call" of 2014. We will discuss the top 3 focus points to have a successful 2014 with Diane Lampe, Noelle Lewantowicz, & Tawny Carey!